Since 1980, Gray and Sons has been dominating repairs within the luxury watch and jewelry industry. We specialize in all types of repairs and make the impossible feasible. The repairs are processed and completed in our boutique by our in-house master watchmakers and jewelers. 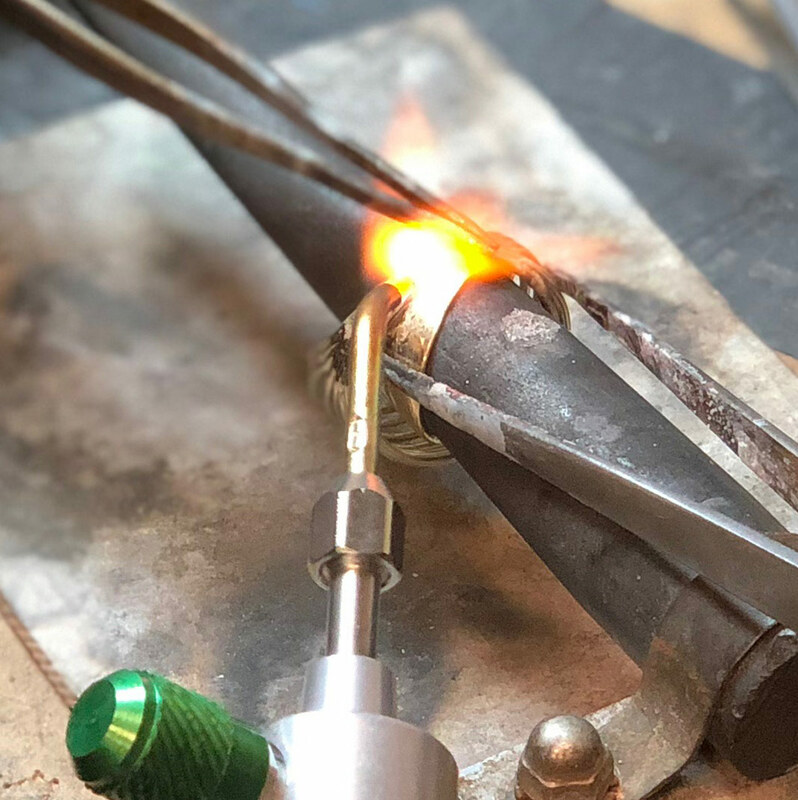 Our in-house jewelers work on all sorts of jewelry including rings, necklaces, earrings, bracelets, and more! Gray and Sons will handle all types of repairs, even minor adjustments. 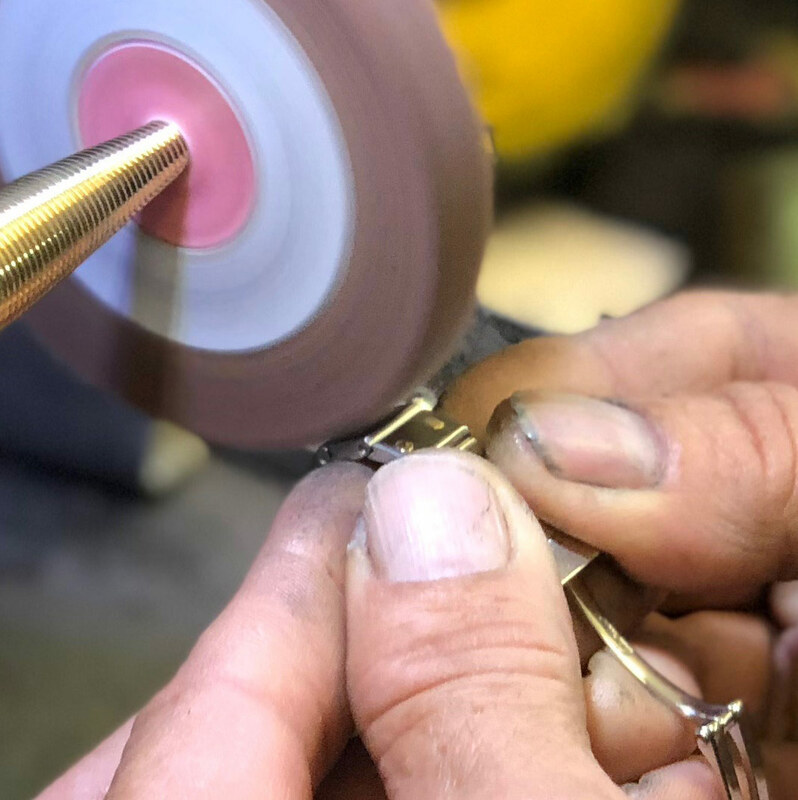 Anything beyond the stretch of your imagination within the jewelry repair business, Gray and Sons will tackle your issue! If you have any questions, feel free to ask; we can easily break down the process and steps for the customer's comprehension. If you love the ring your boyfriend gifted you but cannot stand yellow gold and wished it would've been white gold, Gray and Sons can take care of you. If your bracelet doesn’t fit quite right, we can lengthen or shorten it. Accidents happen; if your necklace gets caught on the sweater Grandma knitted for you and diamonds fall out… we can replace the diamond for you! 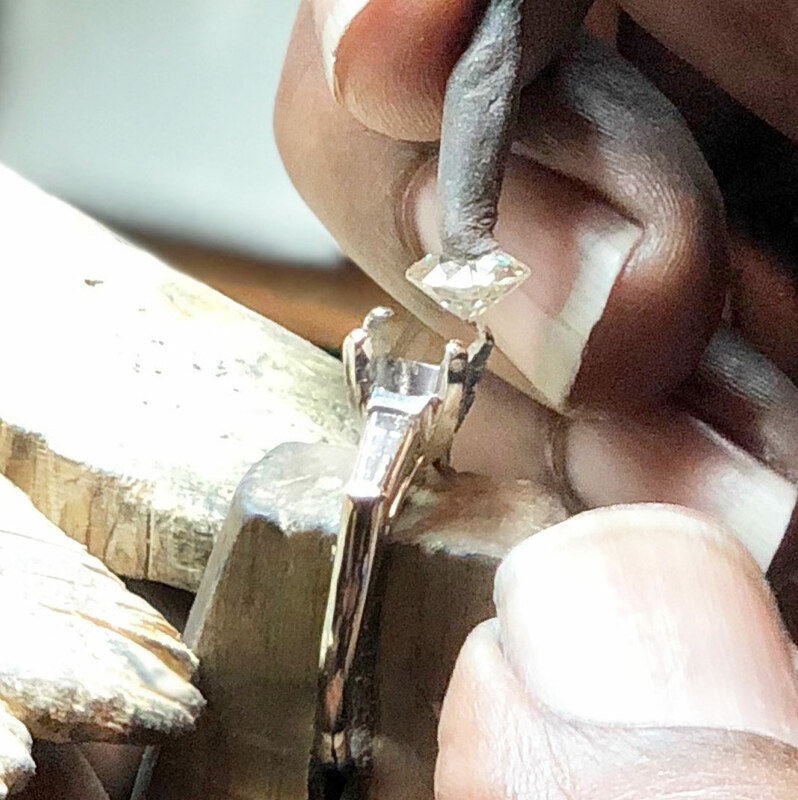 Imagine you inherited a two carat diamond ring but it looks too old-fashioned for you; let Gray & Sons transfer the diamond to a more modern setting from our vast selection. Jewelry is a way to express yourself, and it is often inexpensive to repair or refine a piece to pristine condition. Not only will our jewelry repair department fix your issue, but we will also enhance the appearance of your piece. Thanks to our in-house polisher, we can make that possible. Our polisher delivers excellence to the table and is trained to never over-polish any pieces. You never want your watch or jewelry to be over-polished because it removes an excessive amount of gold, platinum, or silver. 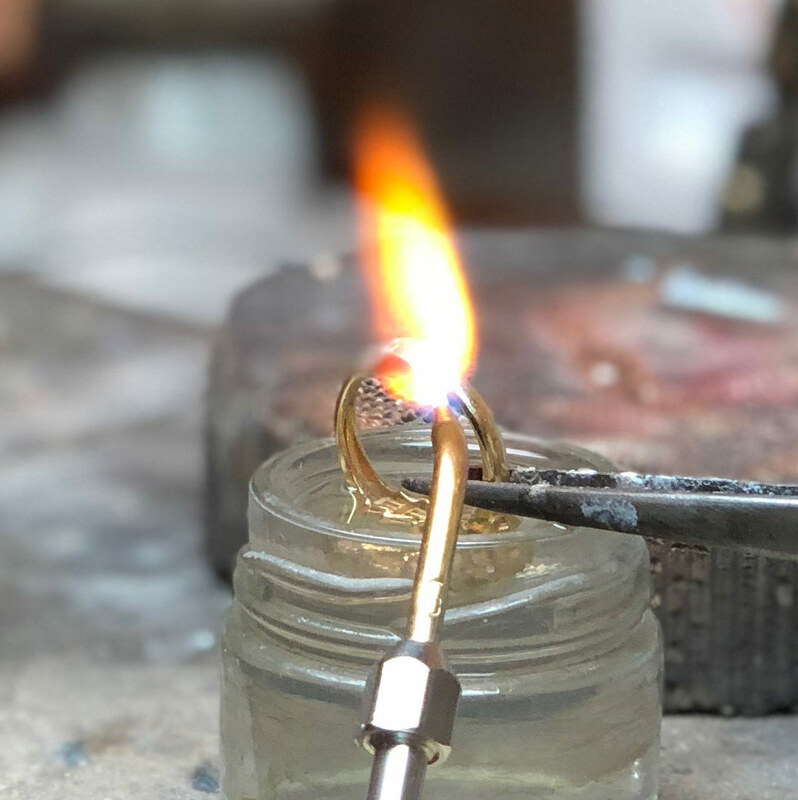 Our jewelry repair shop department not only fixes what is requested, we check the entire piece to ensure there are no potential future problems. We look for loose stones, weak spots, and give our best advice for your safety and enjoyment of your jewelry. Gray and Sons specializes in watch repair in addition to our jewelry repair department. In fact, often times both departments collaborate to produce the best result. An example is the "Detail" feature in our watch repairs. When you receive your watch repair after completion, you will notice that your luxury Swiss watch is in immaculate condition. A bonus when buying merchandise from our store is that we include a "Like New For Life" bonus which means that you can annually send your watch to us for free cleaning from our polisher. In regards to watches, the "Like New For Life" policy includes us maintaining the water-resistance of your timepiece (if originally water resistant). Give us a call or send us an email for further inquiries. Gray & Sons Jewelers is located across from the prestigious Bal Harbour Shops, the world-famous luxury mall that is home to boutiques for such brands as Van Cleef & Arpels, Cartier, Harry Winston, Bvlgari, David Yurman, Tiffany, and more. Gray & Sons Jewelers repairs and polishes jewelry from these and most other brands. Visit us and enjoy a hot coffee or espresso while you buy, sell, trade, or consign your estate and fine jewelry and watches. Request pre-labeled Easy Ship Box and mail in your Jewlery to repair.